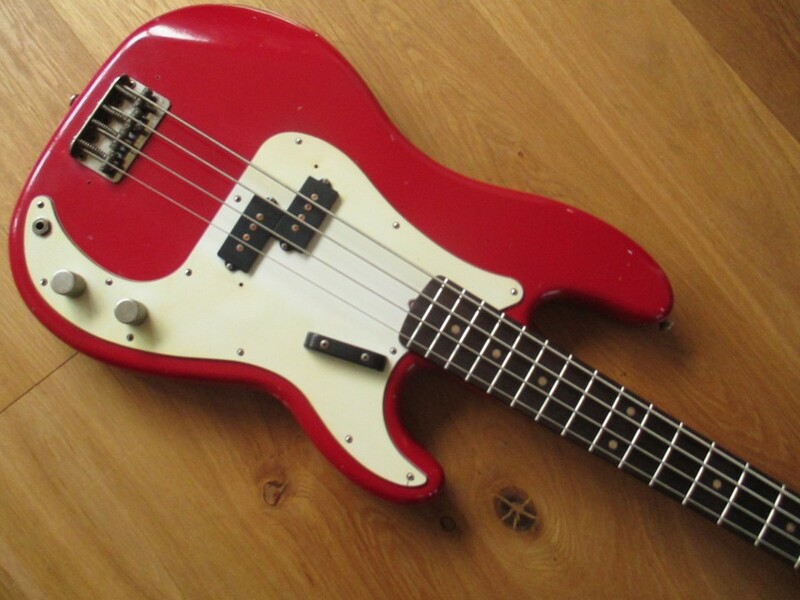 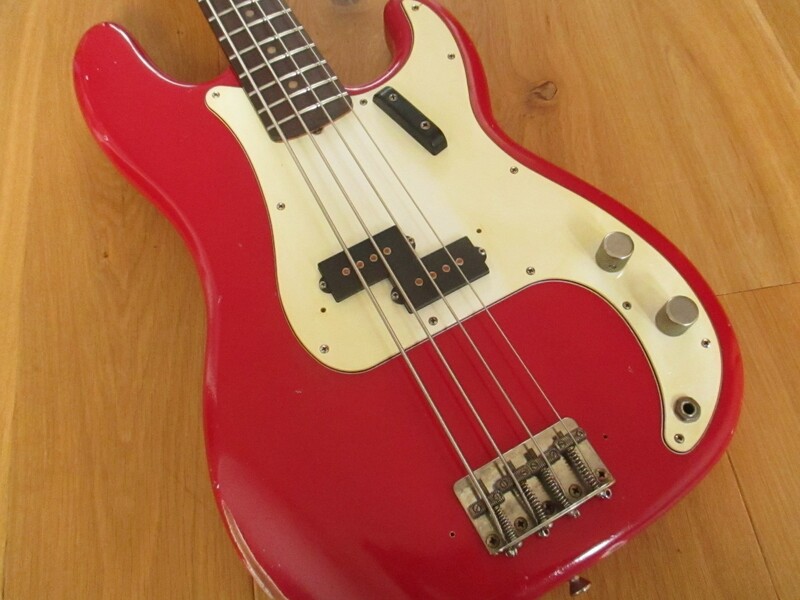 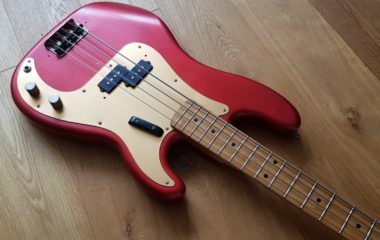 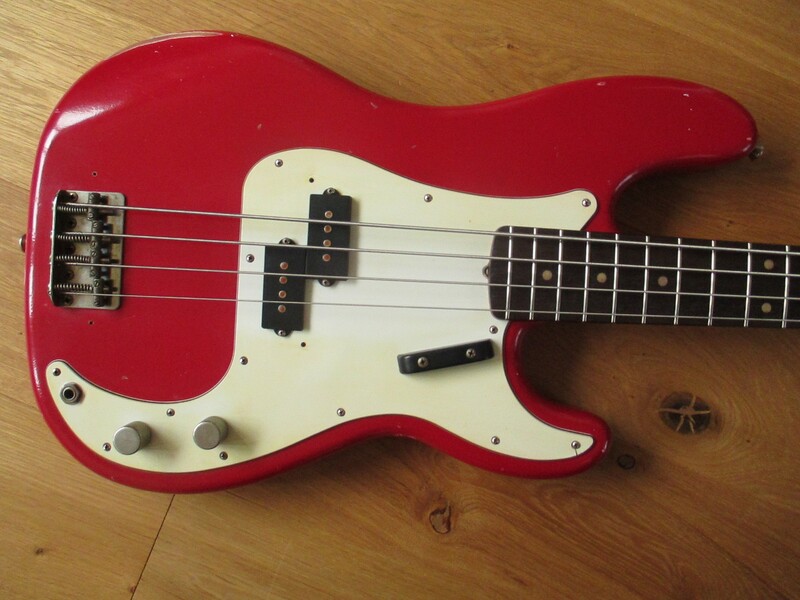 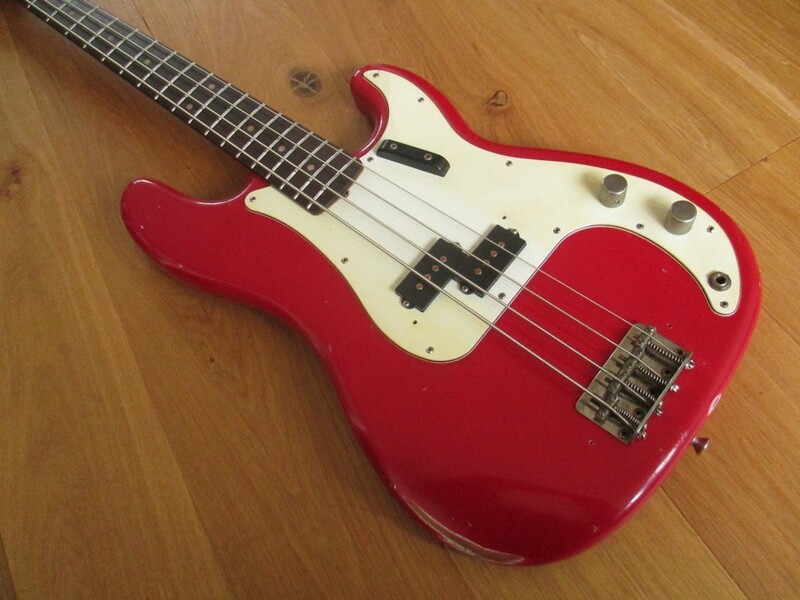 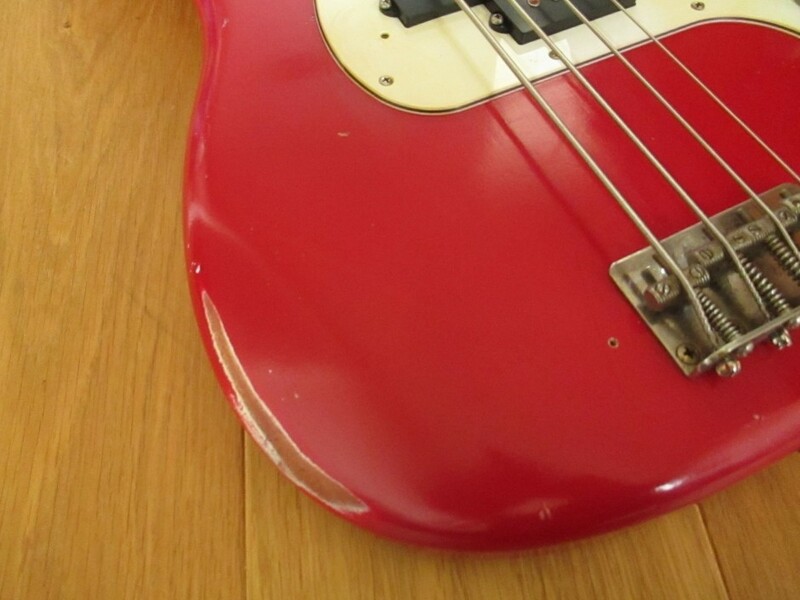 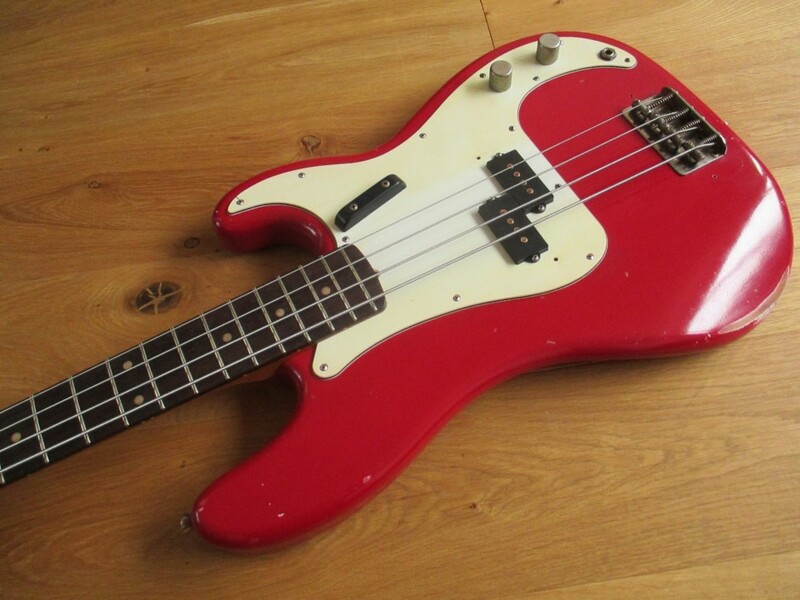 This is a Limelight ’63 P Bass with all the correct features from that era. 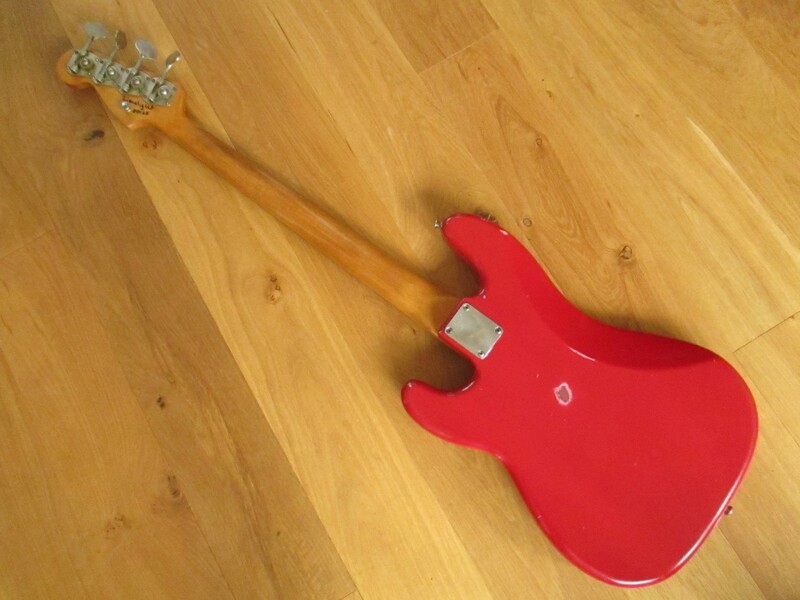 The paint is thicker than normal and looks lush and only lightly reliced. 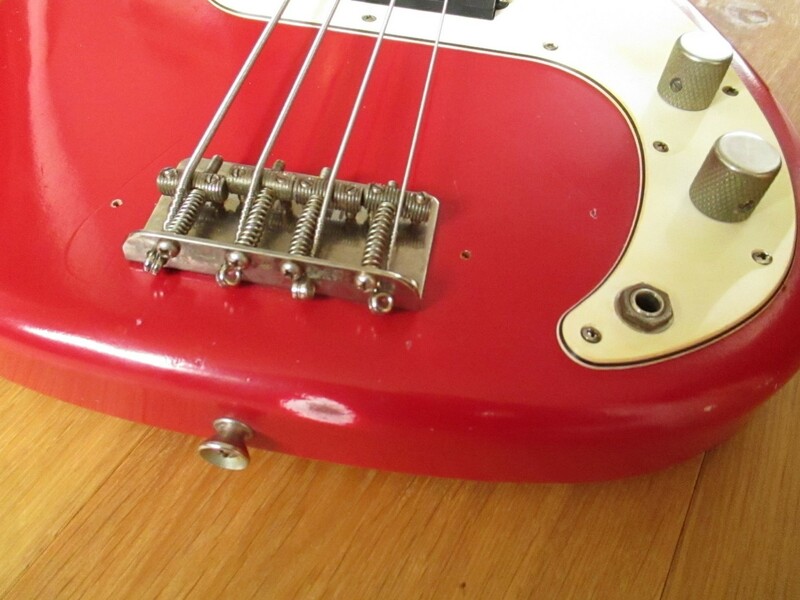 Also the metal work relicing is the lightest we’ve ever done and I think looks pretty authentic. 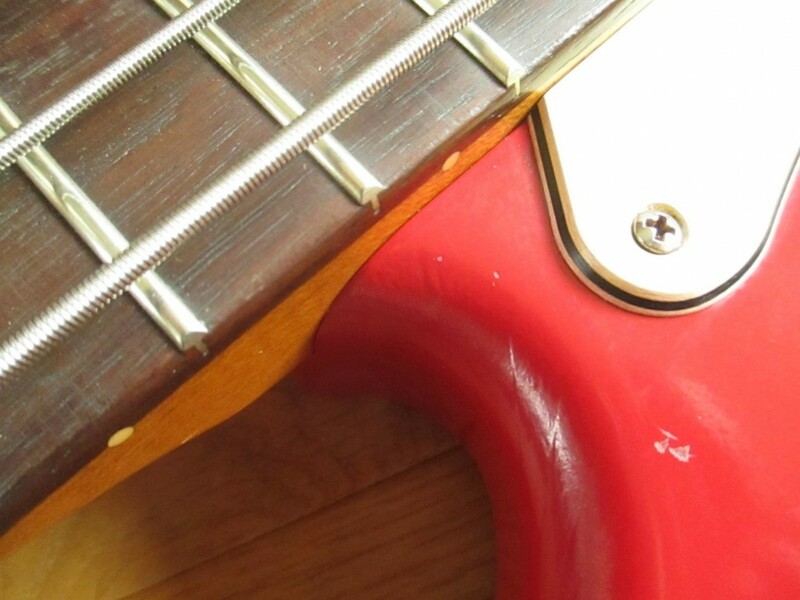 Also the scratchplate is lighter shade under the strings, but darker and more “parchment” coloured either side. 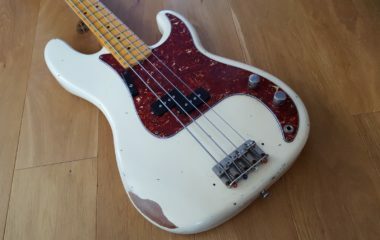 It doesn’t show up that well in the photos but does look good.